We’ve been getting a lot of feedback from Parents on helping them identify kid friendly places and so we’ve partnered with KidScore™ to test out the concept on Judy’s Book. We’ve also been asked exactly what the score means. Here’s a breakdown and our top kid friendly restaurants, doctors’ offices, activities & attractions, and shopping in our top cities. 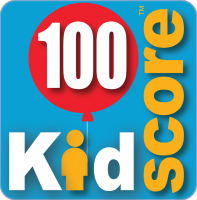 90-100 Kid’s heaven- Service, products, and place speaks to kids. Families seek it out and recommend it for kid accommodations, amenities, attitude, menu, product, health and cleanliness, play area, toys, etc… Primarily in business to serve families and children. 70-90 Kid friendly – Beyond factoring in the items below. Families recommend it and compromise a large percent of the patrons. The staff and other patrons are friendly and comfortable with children. Works for infants, toddlers, children, and tweens. There are numerous child friendly details that make this place practical and fun. 60-70 A step above the basics- Products, ambiance, and service can be considered kid friendly. Easy parking, prices, quick service, and hours are factors. 50-60 Contains the basics to serve and accommodate children like changing tables, kids menu, and high chairs. 0-30 Not recommended for kids or we lack sufficient data. This entry was posted in Judysbook on March 27, 2012 by judysbookblog.